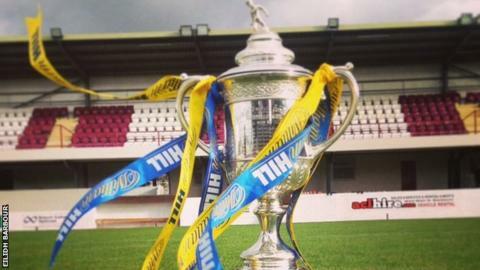 Follow the action from the Scottish Cup semi-finals with BBC Scotland. On Saturday, there will be live Sportsound commentary of Rangers v Dundee United on BBC Radio Scotland 810MW, on DAB digital radio and online from 12:03 BST. Later, there will be highlights of this match on Sportscene on BBC One Scotland at 22:30 BST and on the BBC Sport website. On Sunday, there will be live Sportscene coverage of St Johnstone v Aberdeen on BBC Two Scotland and online from 12:15 BST and live Sportsound commentary on BBC Radio Scotland 810MW/DAB/online. Later, there will be highlights of this match on the BBC Sport website. Highlights of Saturday's match will also be broadcast during Sunday's lunchtime television coverage on BBC Two Scotland.